White tea is made from the tips and young leaves of the tea plant, dried slowly with no further processing. 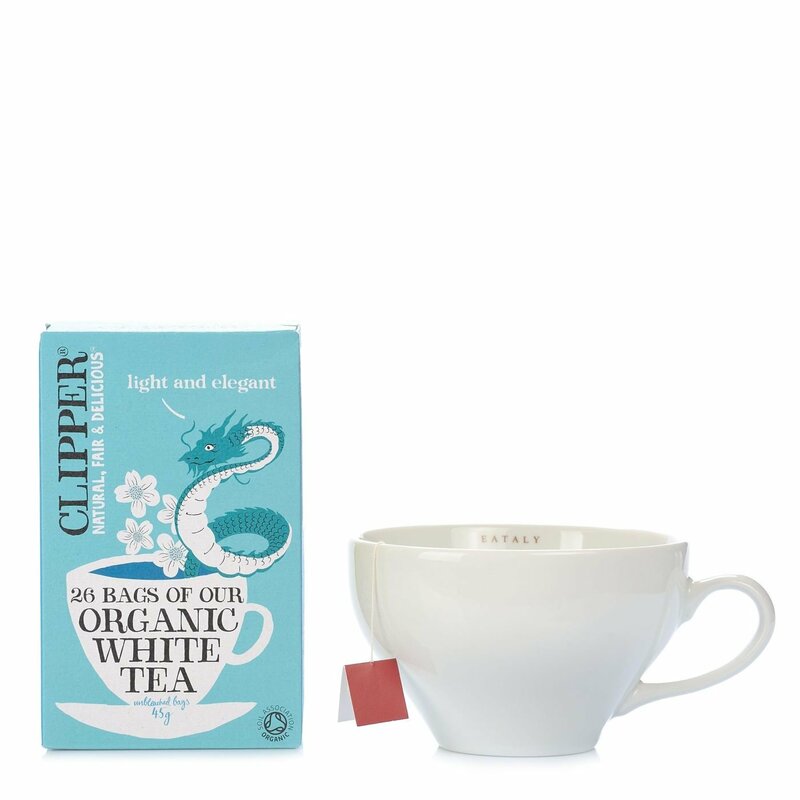 Clipper white tea is a certified organic Fairtrade product. White tea is also rich in antioxidants and has a light, delicate flavour. So if you like light, delicate, slightly grassy and non-astringent tea, this is the one for you! Ideal any time of day for a refreshing break or after dinner. Ingredients white tea* For more information on product labels, please contact our Customer Service department. The information on the labels of the products may vary for reasons beyond our control, therefore, there may be discrepancies between the information on the site and that on the products delivered. Please always check the information on the product before consumption or use.